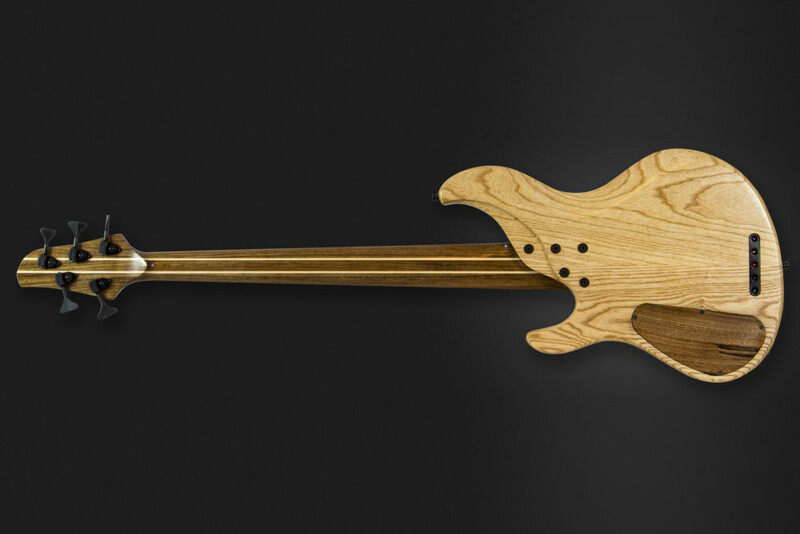 This particular bass is crafted with a swamp ash body topped with a gorgeous slab of walnut. The contrast of light and dark woods continues with its five-piece ovangkol and maple neck and birdseye maple fingerboard. 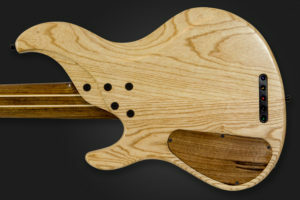 Dolan tied it together even further by utilizing walnut for the control cover and swamp ash for the control knobs. 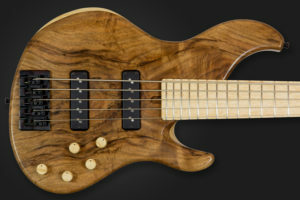 The bass is fitted with a pair of Nordstrand Big Split pickups matched to a Glockenklang 3-band preamp that toggles between active and passive modes via the push/pull volume knob. Hardware includes Hipshot Ultralite tuners and a UK-made Grainger Guitars string-through bridge.